Photograph shows David B. Murray (1844-1908) who served as Police Chief from 1875 to 1887. Date of photograph is probable, [1884?]. 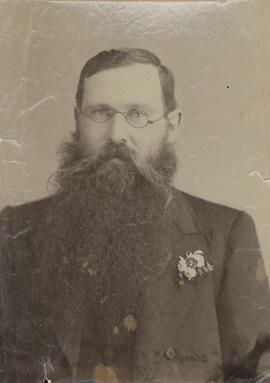 Photograph shows H. Kirk, Caretaker (See 1884 Council Communications, No. 4542). Date of photograph is probable, [1884?]. Caption: W. A. Quayle. Entered Service of the City May 20th, 1935. Acting Deputy City Clerk July 1st, 1964. City Clerk 1966-1976. Retired, November 19th, 1976.